Every Indian home you go & you will feel the best hosting ever as we believe ” Atithi Devo Bhava”. The one thing is so special about Indian culture is the hospitality. The Indian culture has accepted many different cultures in it. Every Indian community has a new taste to offer you. 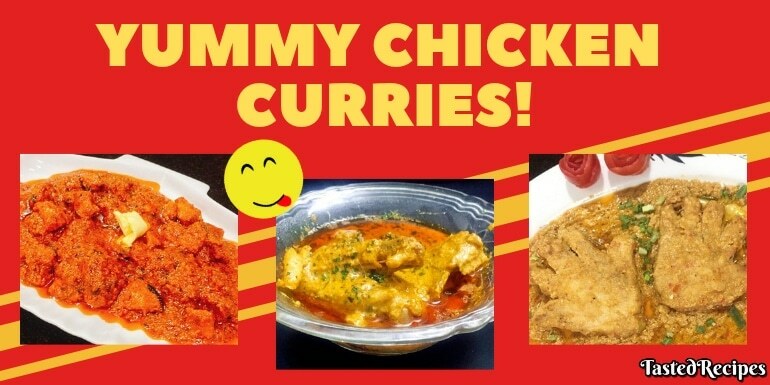 Today I have mentioned top 4 Chicken Curries Recipes to mesmerize your guest with unexplored taste. Tasted recipes team has done something special today for you. 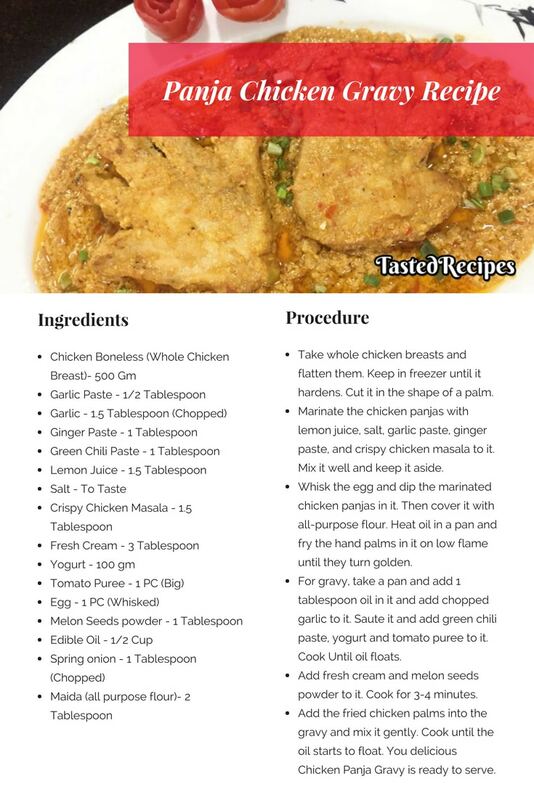 We have included some handpicked unique unexplored recipes in chicken that you can wow your guest with. We always believe to go one step beyond while curating and creating recipes. Your guest hosting this time is going to get sizzling tangy, fiery & unique. These Curries has some tasty strong aroma in it. It has tanginess and spiciness. You can even serve it raw or with some “Garma-Garam” butter roti/ Naan. You can download the recipe card or pin it to your Pinterest. 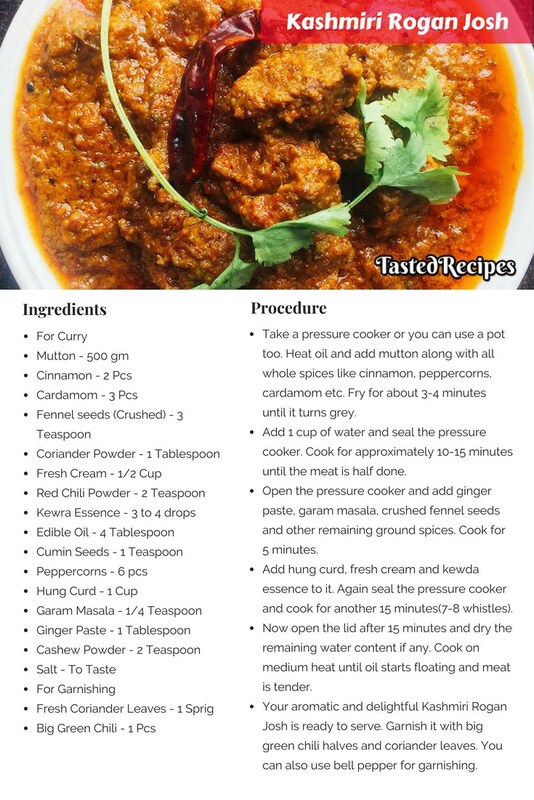 Kashmiri Rogan Josh, a traditional, aromatic and delightful mutton curry having its origin in the Heaven of India – Kashmir. If you likely want to cook it in a short time, you can use a pressure cooker for it. Well, some things need to be left only for special ones and Kashmiri Rogan Josh does complete justice to your loved ones. Whether is your aunt visiting your home or your boyfriend is coming for the first time to your home or your kids have returned home during vacations. Cook this recipe for them & comment their responses down. We would love to hear it. Your relatives have eaten butter chicken like a hundred times in restaurants. But you need to believe today that you can make butter chicken better than a restaurant. Yes, believe me! Just check the recipe. You will find a new way step-by-step. 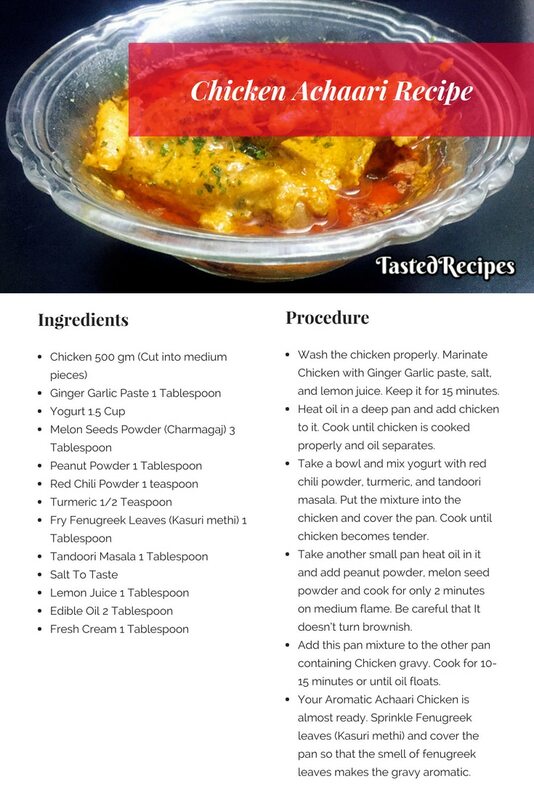 Panja Chicken is an innovative curry which was discovered by our chef. We are sure of that you might have not heard the name before and I can put all my money on this that you might have not tasted anything like this before. The gravy of Panja Chicken will speak prove my words bout the best taste that you cannot find in any other gravy. A fantabulous taste of tender chicken breasts to impress your guest. This recipe is something new & exciting. You can also make this curry on Sunday evening for the best time family get together with your relatives or friends. 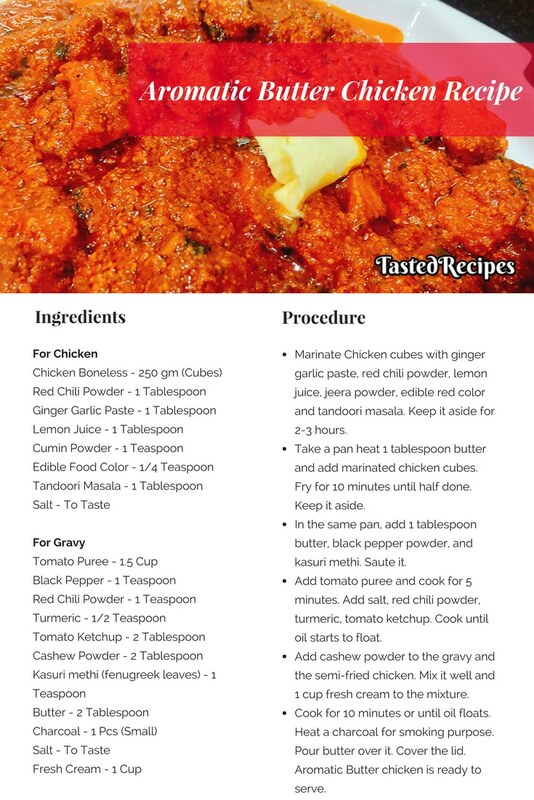 Chicken Achaari Curry is one delicious dinner recipe you can go for. Planning a perfect menu for your guest is essential. You can always cook this for your boss. He will surely be impressed with this Achaari taste. Every time you with him for meetings, he will mention this taste for sure. Because we Indian loved pickle. And we can eat it with anything. Like a bread, roti, South Indian dishes or paneer dishes anything you ask for. So this time why note with Chicken? Surprise your guest, loved ones with unforgettable hosting ever with this topmost Chicken Curries. Any special occasion, get-togethers, special dinner invitations or social gathering at home, these curries are perfect to serve. These are bit spicy recipes so make sure you serve it with some mocktails like Mojito. End it with delicious desserts like Bread Jamun Recipe. If you have any questions related to any of these recipes or suggestions for any recipes, share them in the comment section below. Really mouth watering, especially the chicken varieties.